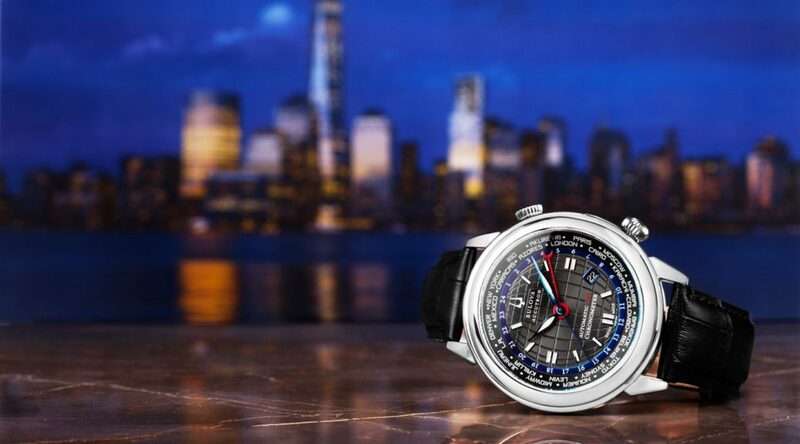 In the world of high-end luxury, watchmakers like fashion designers and premium automakers have different lines designed to appeal to certain sectors of the public. For example, Toyota produces its own line of vehicles, as well as their high-end Lexus sedans and more moderate Scion cars. Designer Ralph Lauren has his signature Polo brand, as well as the higher-end Purple Label brand, attractively priced Ralph label and more moderately priced Chaps label. 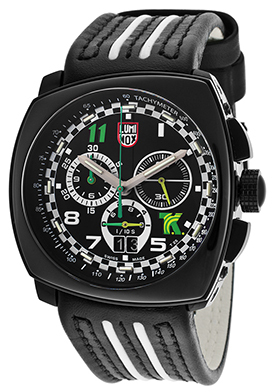 Rolex has their premium division of luxury Swiss-made watches as well as their more affordable Tudor watch division. 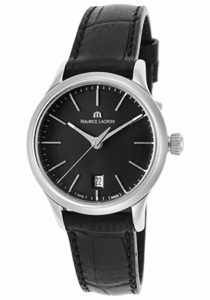 Movado has their popular line of modern Swiss-made timepieces as well as their higher-end division Concord and moderately priced ESQ Movado. 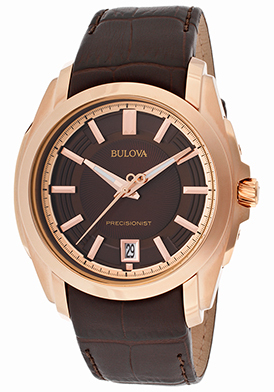 Bulova has its signature brand of moderately priced timepieces, as well as affordable fashion watches from the Caravelle NY line, the Bulova Accutron II line featuring classic Accutron designs with the brand’s state-of-the-art Precisionist movement inside and the relatively new Bulova Accu-Swiss brand. 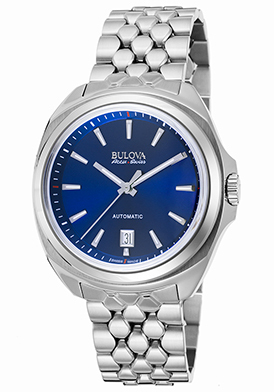 In 2014, Bulova rebranded the Swiss-made Accutron line to Accu-Swiss for a more notable Swiss identity. 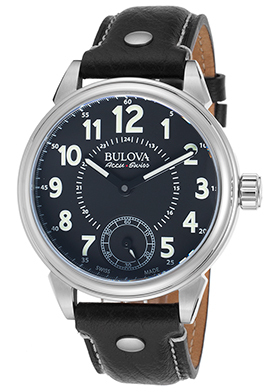 The Bulova Accu-Swiss brand features the precision craftsmanship and expert watchmaking that has made the Bulova a leader in the watch industry for over 141 years. 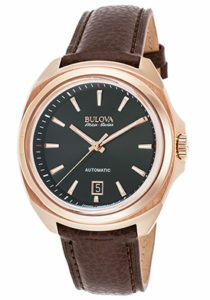 Bulova Accu-Swiss watches are prominently featured this week at luxury retailer TheWatchery.com in the site’s Bulova Accu-Swiss Best-Sellers event. 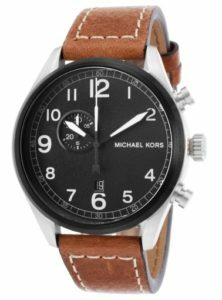 Over 50 popular men’s and women’s watches are featured in the promotion, including styles from the Tellaro, Murren, Bellecombe and Telc collections. 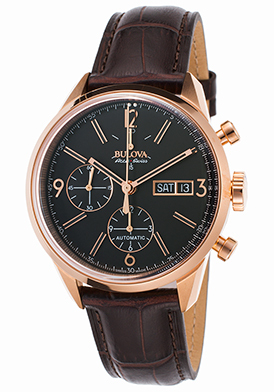 With college graduations currently commencing and Father’s Day a month away, these Bulova Accu-Swiss watches are excellent gifts for dads and grads. 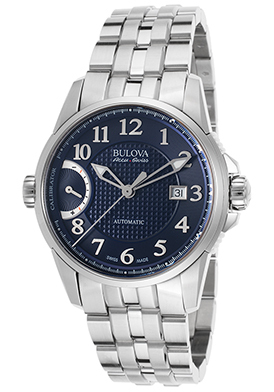 The Bulova Accu-Swiss Calibrator Automatic men’s watch is masculine and appealing with a perfectly round 43mm diameter case in polished stainless steel, presented on a multi-link bracelet in brushed and polished stainless steel with a push-button clasp for added convenience. The stationary bezel surrounds the blue dial with a textured center dial, luminous skeleton hands, raised Arabic numeral hour makers, an automatic date window and power reserve indicator. 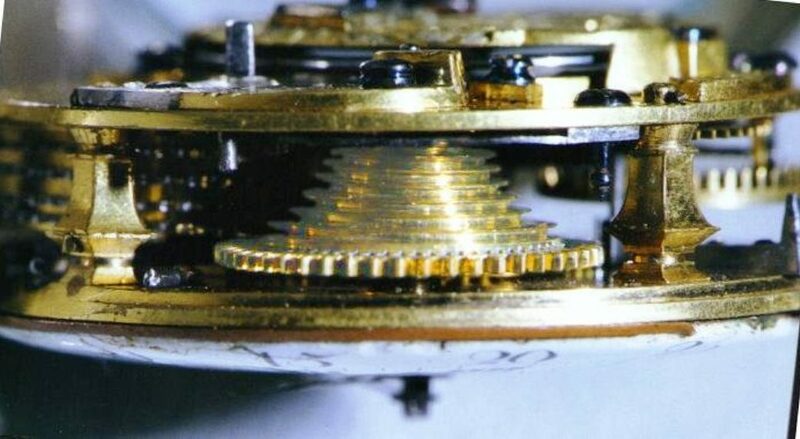 Features include a sapphire crystal above the dial, water-resistance to 50 meters and a power-reserve adjustment system at the 9 o’clock hour. 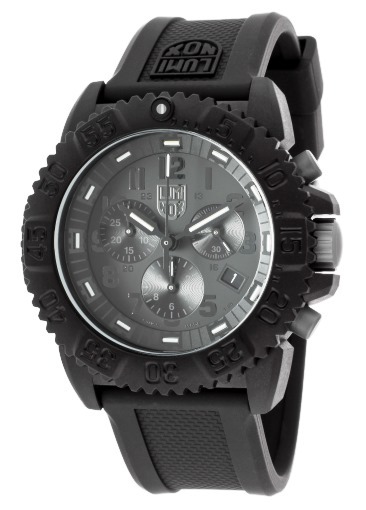 The Bulova Accu-Swiss Murren automatic chronograph is another outstanding selection. 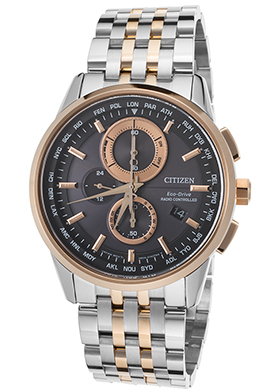 This highly distinguished men’s timepiece has a 41mm round case in brushed and polished rose gold-tone stainless steel and a handsome embossed brown leather strap with a costly deployment clasp buckle. 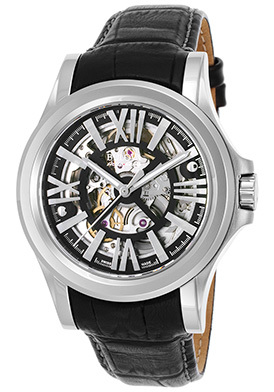 The integrated bezel surrounds the attractive black dial with two sub-dials, a day and date calendar, rose gold tone skeleton markers, Arabic and baton markers. 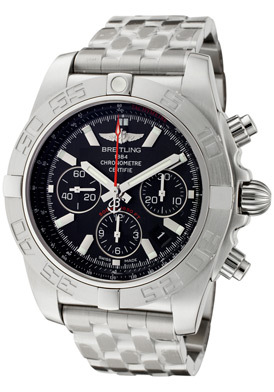 Features include a scratch-resistant sapphire crystal and water-resistance to 30 meters. 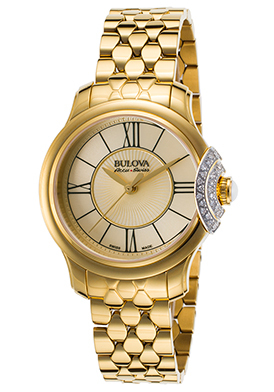 Graceful and glowing with understated elegance the Bulova Accu-Swiss Bellecombe women’s watch makes a statement with a perfectly round yellow gold-tone stainless steel case, highly polished to a mirror-bright glow. Thirty shimmering round-cut diamonds, pave-set to perfection create a dramatic focal point on the outer layer of the bezel at the 3 o’clock hour. 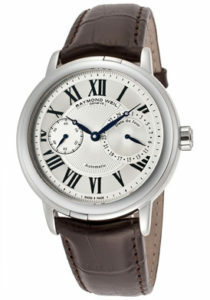 The striking white leather strap with a deployment clasp buckle adds to the stylish good looks. 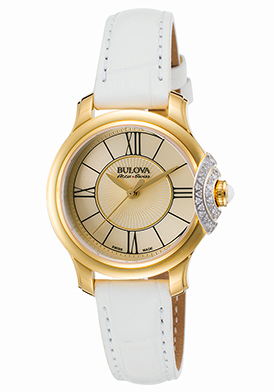 A white cabochon-cut stone accents yellow gold-tone finished crown with decorative fluted detail. 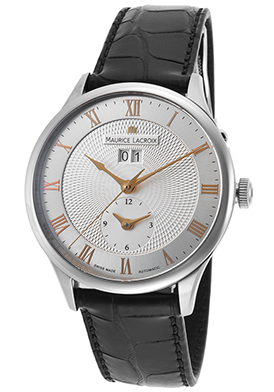 The champagne colored dial with a raised swirl pattern center dial shines with gold-tone sword hands, black Roman numeral and baton hour markers. 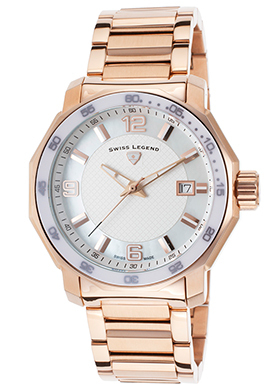 Women’s watch is 31mm in diameter and 8mm thick. 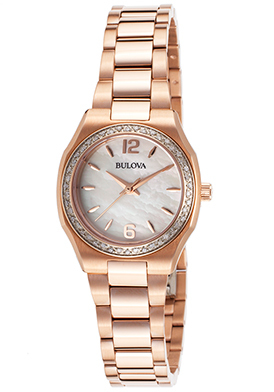 The Accu-Swiss Bellecombe Diamond watch shines with sophistication and allure lustrous stainless steel. 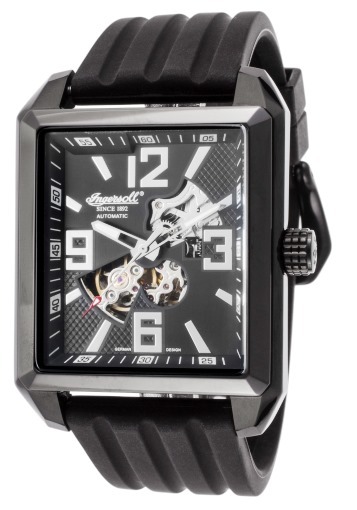 The generous 34mm diameter case in polished stainless steel is presented on a lustrous multi-link bracelet in polished stainless steel. 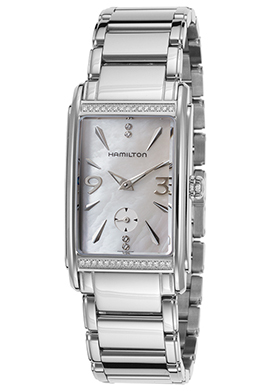 Thirty sparkling pave-set diamonds adorn the outer bezel at the 3 o’clock hour. 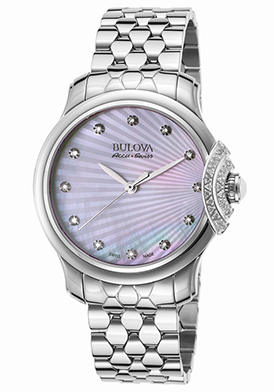 The iridescent patterned Mother-of-Pearl dial shines with twelve inlaid diamond hour markers and silver-tone sword hands. 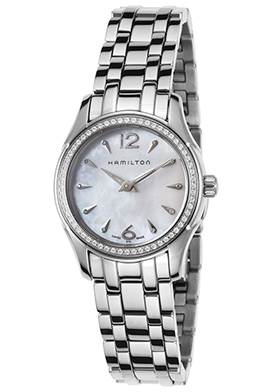 Both Bellecombe women’s watches have anti-reflective sapphire crystals above the dial and are water-resistant to 30 meters or 100 feet.